Fu Ho Restaurant is a renowned Chinese restaurant in Hong Kong serving high quality Chinese cuisine. Fu Ho Restaurant is one of the few prestige Hong Kong restaurants awarded with Michelin Star. The restaurant offers an exquisite selection of Cantonese dishes such as Abalone, Sea Cucumber, Shark’s Fin and Bird’s Nest in its special recipes. 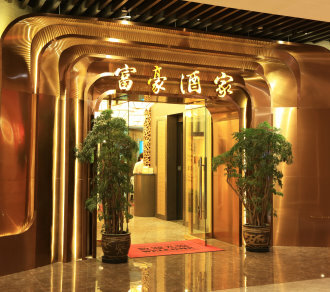 Fu Ho Restaurant offers business luncheons, Guangdong Dim Sum and also their Signature Dish of "Ah Yung Abalone" .